Draw Egan makes his way to a frontier town, and adopts the assumed name William Blake. He enters a saloon and easily bests a local bully, attracting the attention of Mat Buckton (J.P. Lockney), a “leading citizen” of nearby Yellow Dog, who’s here looking to recruit a brave man to act as marshal for the town. Apparently “some of the women” feel that Yellow Dog “needs reforming,” and that’s good enough for Mat. The offer sounds good to Blake/Egan – what better way to hide out than in the guise of a lawman? – so he goes along with Buckton back to Yellow Dog, where he sees a party spilling over into the streets from the nearby saloon, led by Poppy (Louise Glaum), a seductive dance-hall girl with an eye for excitement. Egan seems ready to join in the fun, when Buckton introduces him to his daughter Myrtle (Margery Wilson). Suddenly the smirk he’s been wearing while shaking hands with members of the “reform league” disappears from his face and a new, humble persona comes out. Hart is obviously smitten, and for her sake, he starts the task of cleaning up the town. He makes it clear that he’ll be enforcing curfew, including closing down the saloon on Sundays. After a quick fistfight, he makes his point by holding the entire patronage of the bar at gunpoint. This is enough to bring most of the troublemakers into line, and Poppy looks on admiringly as he takes a shot from the bartender. 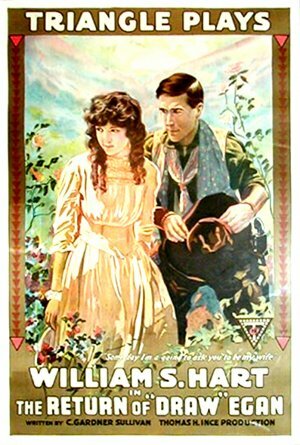 Hart refuses her offer of a dance, however, and he thereby makes a powerful enemy. Come Sunday, the saloon is closed and Egan is a bit embarrassed to realize that he’s expected to attend church as marshal. He decides it’s OK, when he sees that Myrtle is coming with him. All is not bright, however, because Arizona Joe, recently escaped from prison, now shows up in Yellow Dog. He’s surprised to find a peaceful, well-ordered community, and even more surprised to find his old comrade-in-arms as the marshal. Poppy gives him an idea, though, that he can gain some power by blackmailing Egan with the threat of exposure. Egan, who normally wouldn’t give a tinker’s damn what anyone thinks, is cowed by the idea of Myrtle learning about his past. 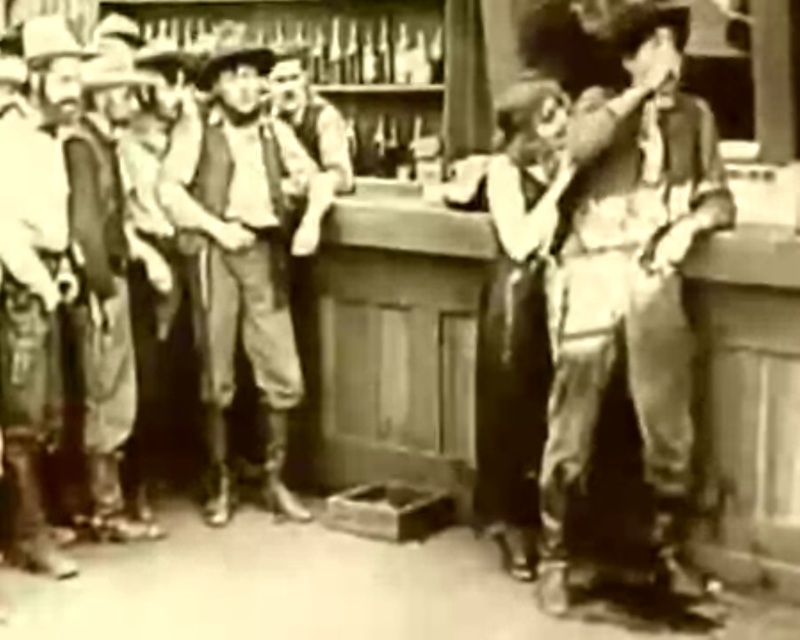 Now Egan begins acting like a coward, refusing to challenge the “boys” of the saloon when they start hollering and raising hell, and allowing the curfew to be ignored. The good citizens lose their respect for him and begin to be afraid to go out in the streets. Soon, Arizona Joe comes up with the idea of running the “amen shouters” out of town altogether, and he gathers his men and women together into a mob to let them know. Hart watches in frustration from the marshal’s office until Joe threatens Buckton, and he realizes that Myrtle is in danger. Now, he rushes outside and calls out Joe. Joe responds by identifying him as the notorious Draw Egan, and all the good citizens (including Myrtle) are shocked, but he won’t deny it. 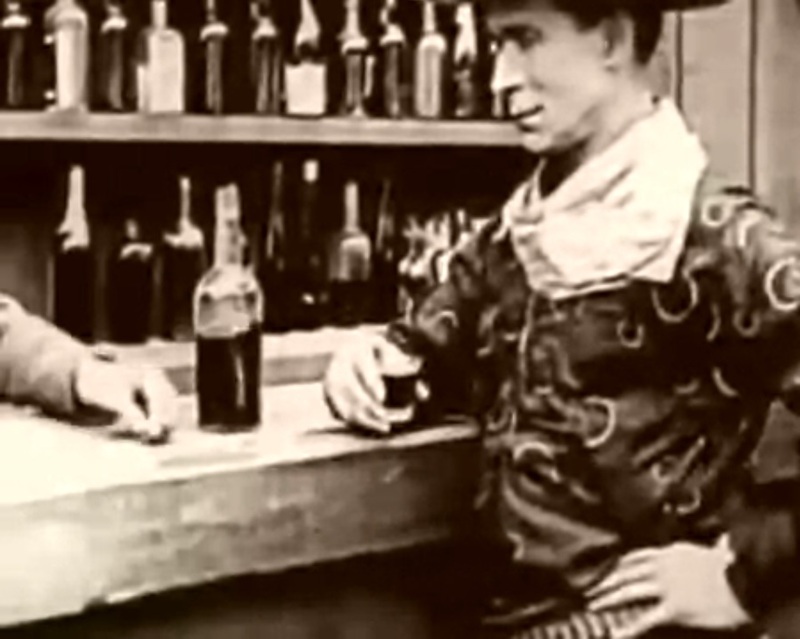 He asks for one day to finish up business before turning himself in, and tells Joe that he’ll kill him when the sun hits the bar through the window of the saloon (a very evocative image). 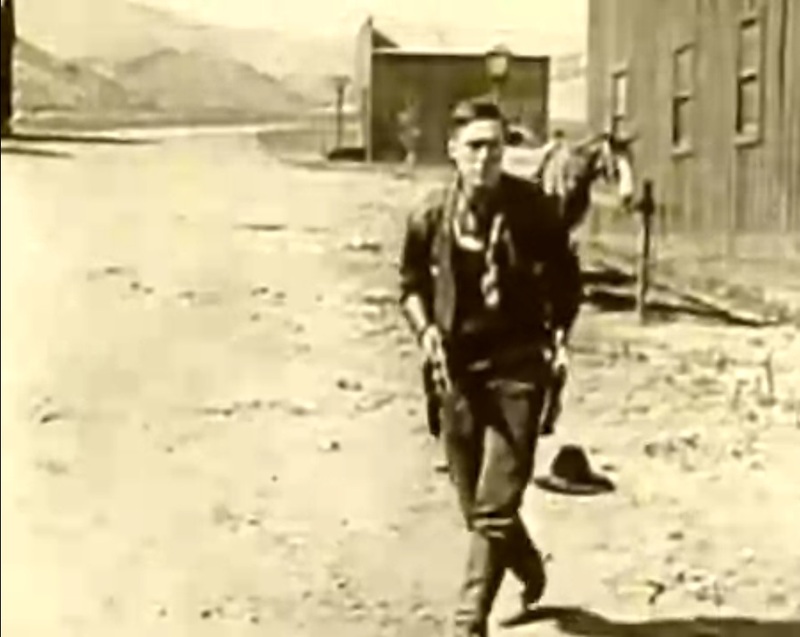 Joe spends the day fretting and drinking, and when the time comes he hides behind some barrels, hoping to lay for Egan and shoot him, but Egan sees through the ploy, walks boldly up the street, and manages to shoot Joe right through the barrels. Now he gives his guns to Buckton, who returns them and tells him no one in Yellow Dog will turn him over to the authorities, and even Myrtle sees that he has reformed and says that yes, she will marry him. 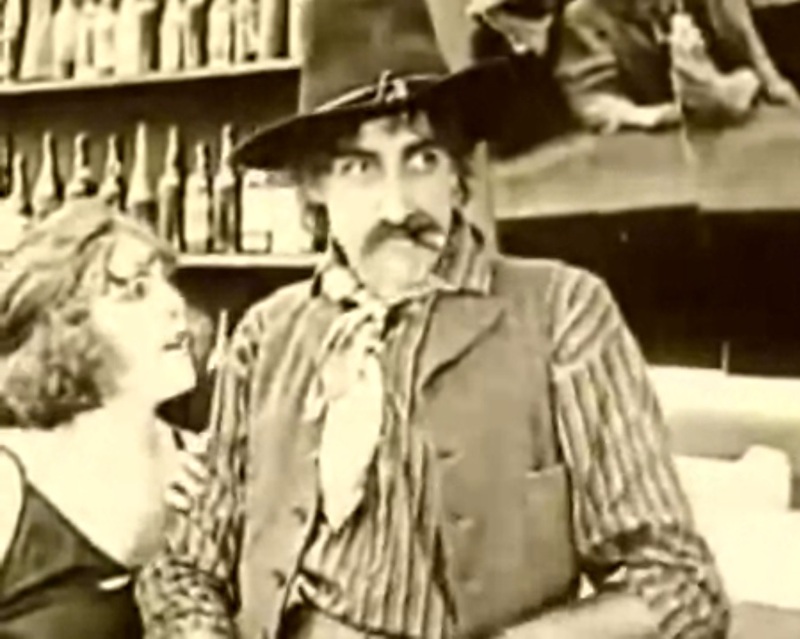 Now, let’s count the Western clichés we’ve seen in this movie. First, there’s the town that hires a ruthless gunman to protect itself against a greater threat. Second, we’ve got the bad man who reforms for the love of a good woman. And, oh yes, there’s also a showdown at sunset on the main street of the town. It might be tempting to say that these were “newer” a hundred years ago, but we’ve already seen some of them in the course of this project. #2, for example, is the theme of “Regeneration” (an urban gangster film with parallels to the Western) and “Broncho Billy and the Schoolmistress,” just to name a couple that come to mind. I’m fairly certain the others pre-date cinema in the form of books, songs, and theater, as well. A man faces Destiny alone. But, it’s not the originality of the formula that makes it interesting in the hands of John Ford or Sergio Leone, either. It’s how well the artist uses the tools of their medium to make the story seem fresh and exciting. 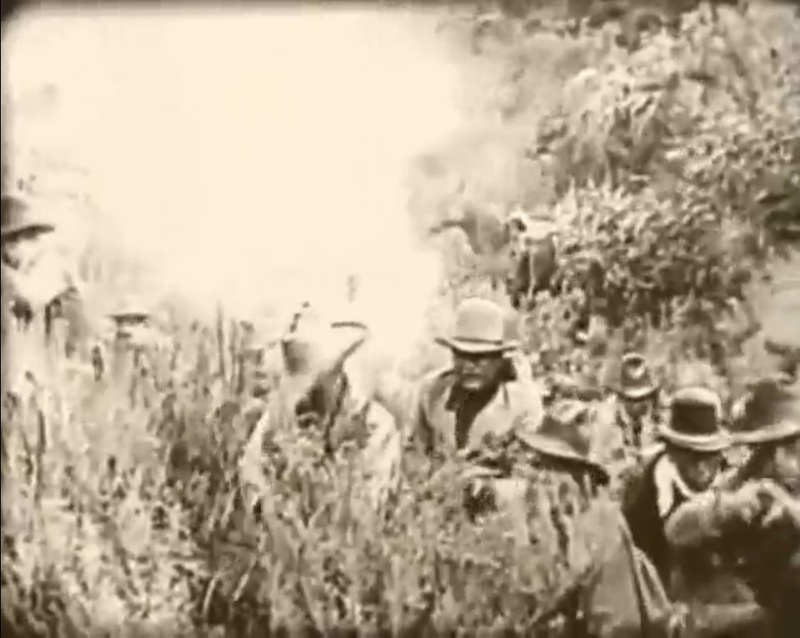 William Hart (who directed, as well as starring) does quite well here, as does cameraman Joseph H. August. A lot more of this movie is shot in close-up than others of the time, and the camera moves at critical moments to reveal a reaction or a situation. One pan from Arizona Joe’s face to Hart’s shows the menace implicit in their relationship. 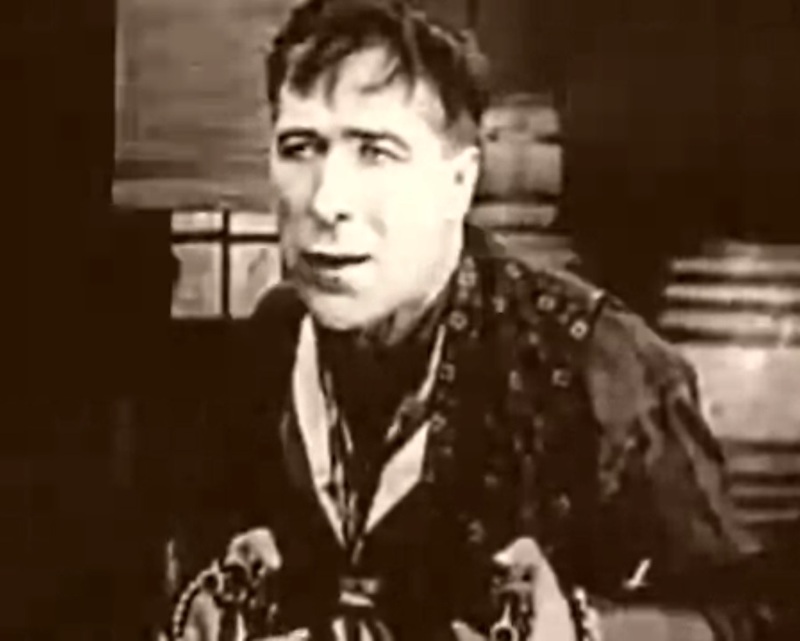 Hart’s expressions often cue us to what’s coming before the intertitles explain it. He also makes extensive use of irises to close out scenes and suggest the passage of time between them. Bad men and the bad women who love them. 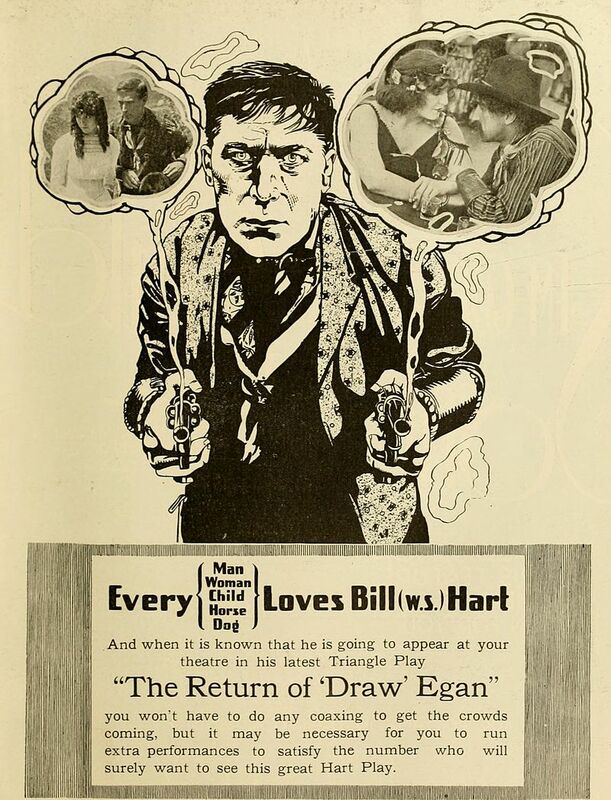 Hart may have been directing himself here, but he wasn’t stingy about sharing the spotlight with his co-stars, and the casting of this picture is part of its strength as well. Especial recognition is due to Robert McKim, who has the tricky role of a braggart and a coward, which could easily be overplayed. McKim never lets you lose sight of his character’s flaws, but does it without being a ham, which would have spoiled the tone of the movie. I was also impressed with Lockney and Glaum – the one quietly diginified, the other petulant and suggestive – who get quite a bit of screen time each. Glaum’s wardrobe is almost a walking malfunction (for some reason she plays the whole movie without a bra), but while it probably raises eyebrows today as in the 19-teens, it seems appropriate for her character to be so brazen. 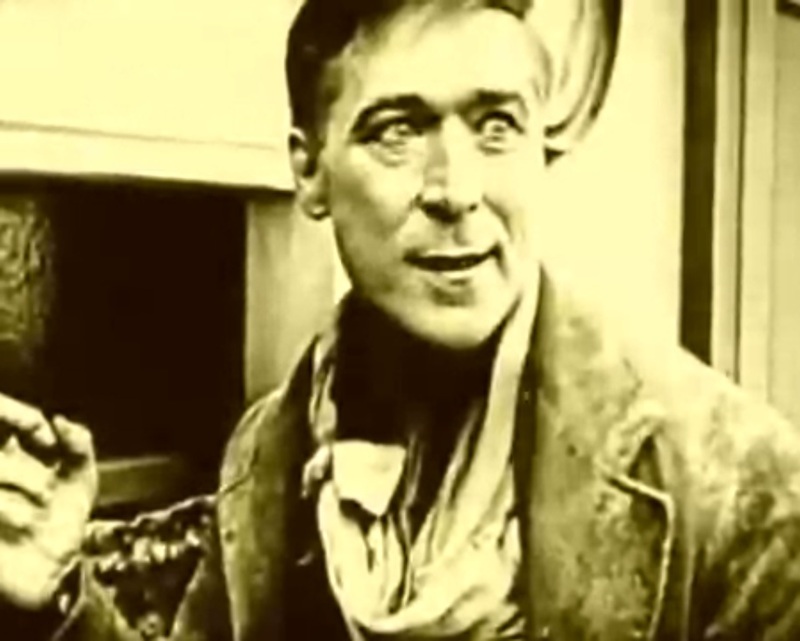 In sum, I admit to enjoying the cynical revenge themes of “Hell’s Hinges” somewhat more, but this is a very good example of the work of William S. Hart, preserved now for a full century.